Counting Paul van Dyk as one of his staunch supporters, Cenk Basaran justifiably sits as one of our label favourites, consistently delivering quality productions with a distinct and exciting twist. Here he takes a classic from his discography and gives it a thorough makeover. 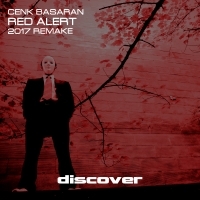 Red Alert (2017) is a haunting rework with bags of drive. As much about tech as it is about trance, Cenk has taken an already great tune and pushed it to new heights.